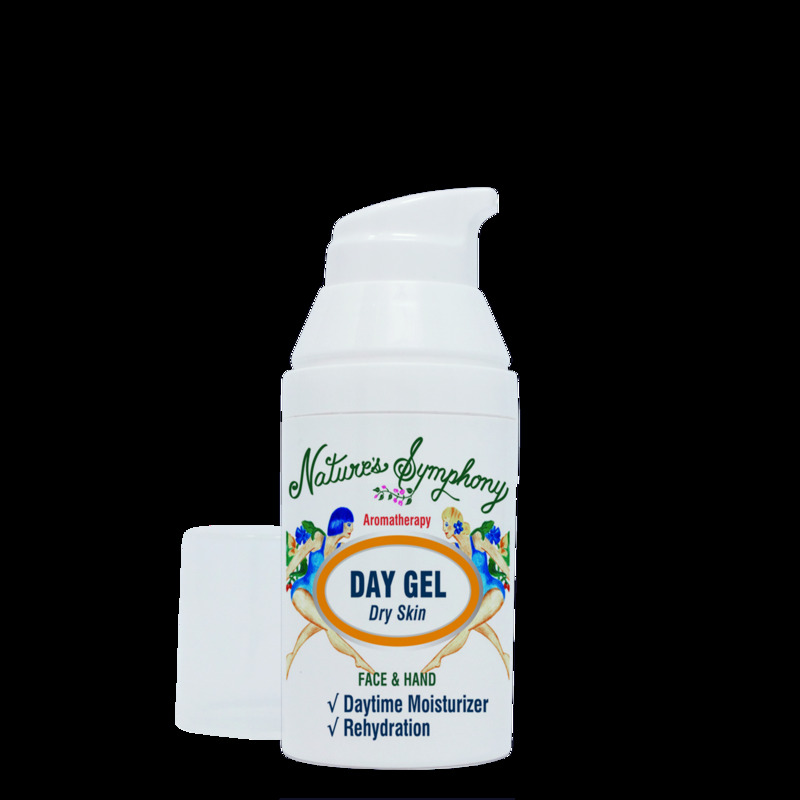 All Natural Day Moisturizer and Skin Protector. A combination of nutrient rich moisturizing oils - and the soothing - skin protection effect of aloe vera gel - formulated with an organic essential oil blend to help counteract dry skin conditions. It has a non-greasy - smooth finish which makes an excellent base under makeup. For best results - mist first with Natures Symphony Hydrosol and apply only a small amount of the gel. USE: Apply to face as daily moistuzer and protectant. Ingerdients: Aloe vera gel - avocado oil - hazelnut oil - hazelnut oil - with organic essential oils of lavender - patchouli - carrot seed - sandalwood - and geranium.